Cooler Storage Insulated top entry ice box for up to 98 sodas plus meat. Burner Two 17,000 B.T.U burners with adjustable controls. Food Equipment Summary 5 Steamers. Additional Standard Features Cart Push Handles, Hot and Cold Running Water. 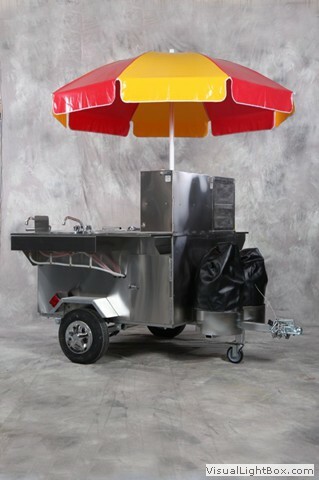 Additional Equipment Options Large Surface Barbeque, Dual Propane Tank Baskets, Stainless Steel Side Shelves. See the Accessories pages for a complete list of optional equipment.